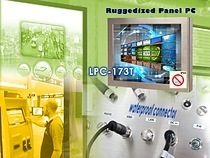 AICSYS Inc Industrial Automation Hardware manufacturer launches Fanless Touchscreen LPC-Series, an elegantly designed waterproof full IP65 compliant 6-sided sealed stainless steel chassis to prevent acid, liquid, and dust from damaging the Panel PC device and offers a sophisticated glossy and shiny surface. AICSYS Inc. LPC-Series are the perfect device designed for industrial environments hardware protection such as outdoor public space, food or chemical preparing station in harmful factories environment and facilities. 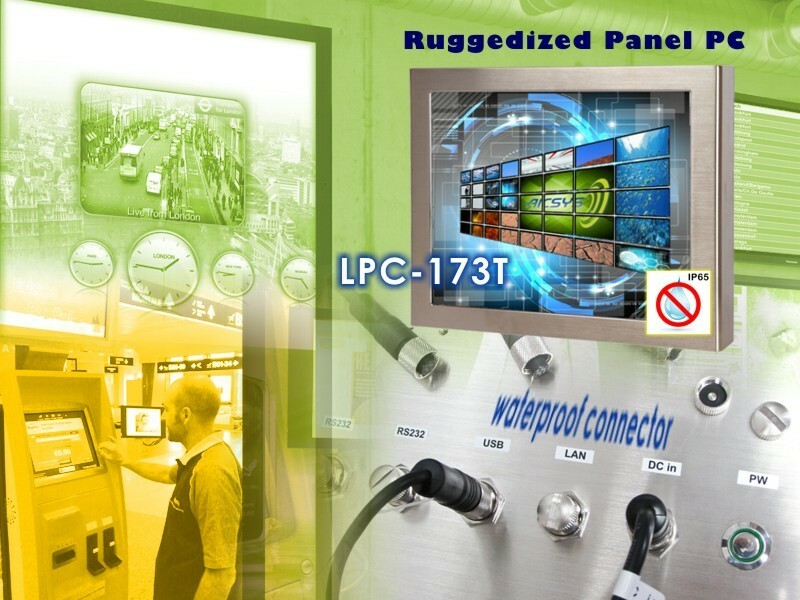 The LPC-Series IP65 6-sided sealed stainless steel chassis and waterproof connector to prevent liquid and harmful foreign substances from getting into the inside of the device; from junction of chassis and via the I/O entry points and it also allows the device to be washed down for hygiene sanitation. The LPC-153T, LPC-173T, and LPC-193T integrated with Fanless Intel Bay Trail D-J1900 on board, Memory up to (1) 8GB for DDR3L SO-DIMM, (1) 2.5” SATA drive bay, and (1) Mini PCIe slot for expansion. Along with integrated Audio and the high quality LED backlight with resistive touchscreen. Standard external I/O connectors are (2) RS-232, (1) GbE LAN, and (1) USB connectors. These external I/O connectors are configurable per request. It also come with external full range AC adaptor and optional add-on such as RFID sensor and WiFi as selective choices. AICSYS Inc offers the best Industrial hardware solutions based on best quality and provides OEM/ODM project services and system integration services. AICSYS Inc produces the innovative, flexible and long live cycle products which are adaptive and progressing with the market demand. Please contact AICSYS today for consultation.